I was just about to post an editorial about being a good customer to the banks. In that editorial which will be coming soon, I conclude with, “We are simply maximizing our return while playing their game with the rules they set.” Citi is giving us a HUGE reminder of that fact today. According to Doctor of Credit, they have changed the rules describing how often you can get a bonus. For a long time Citi didn’t have any published bonus rules across all of their products. Back then, the rules varied per individual product, but eventually they settled on an 18 month rule awhile back. Phone offer is not available if you have had an AT&T Access More Card account that was opened or closed in the past 18 months. This simply means that if you open or close an account, then the clock starts ticking. Open an AT&T account and cancel after a year? The clock starts over. Not the nicest of policies, but better than a “once per lifetime” rule like we see with Amex. Bonus ThankYou Points not available if you have had a Citi Prestige card opened or closed in the past 24 months. Because of the “opened or closed” language within Citi’s policy, the new “best strategy” is most likely to keep a valued card for two years and pay the first year annual fee. (Or call Citi retention to try and get it waived.) Then once the card hits exactly 24 months and a day, apply for a 2nd version of that card and cancel the first within the refund window for the annual fee. With the 18 month rule there was more wiggle room than there is now. The AT&T Access More card still has the old language as do some “zombie links” from past offers. Apparently the ThankYou Business card doesn’t have any 18 or 24 month language at all. My guess is the apps with the old language will slowly be fixed bringing everything under the new 24 month policy. This year we have seen Amex move to “once per lifetime” on bonuses for all cards and Chase has stuck with their 24 month rule while at the same time tightening approvals for many. 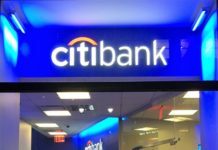 Now Citi is restricting their bonuses further. All of these moves are clear signs that the economy is good and they don’t need to be as aggressive in attracting customers. What do you think? It has definitely been a brutal year thus far and we are only 3+ months in! Previous articleAll of My Wife’s IHG Priceless Surprises Entries Were Lost: Here Is How IHG Fixed the Problem & How To Get Your Points! Definitely a bummer here as those extra few months can make a difference in overall strategy… I agree with your point regarding the economy and unfortunately do not foresee credit card policies relaxing anytime soon. I hate that I love this game! Not surprising at all. We’ve had it too good for too long with over-the-top sign up bonuses with very few restrictions. Especially with the dramatic rise in the popularity of this “hobby”, it should surprise nobody that banks are getting tighter and tighter with their practices. Let’s be honest – the majority of us churners are highly unprofitable, and those who think they’re not are delusional. I think it will continue going this way until the next recession brings them to their knees again. Actually, a more prudent strategy is probably to just cancel it immediately after getting the bonus. You could end up waiting 24 months only to find out they reject you for already having the same card. Agreed. Wouldn’t closing an account minimize the 24-month window? The window starts from opening or closing. Assuming you can do MS and knock out the bonus within a statement or two, the window really becomes more like 25-26 months, but at least than it’s more or less guaranteed to go through. Who knows if within 2 years Citi will tighten rules yet again to where having one open account disqualifies you, so now you wasted 2 whole years. I’m hoping Mark O is right. There’s a link above for the Thank You Business card that actually leads to the AA business card. I thought that a business version of Thank You didn’t exist. I’m trying to spread my spend around between the transferable points programs while I take a break from new applications. So, though not extraordinary, extra Thank You points from my business are welcome. Shawn, I see the way you are reading the new rule in your “best strategy” description, but my initial read was that if you have had a card open at all within the last 24 months you would not be eligible. Seems like we could use some clarification from Citi. By your interpretation there are two specific dates that would preclude you from getting a signup bonus within 24 months (opening and closing date). By my interpretation it would be a long stretch of time (say 11 months for example) that you had the card open before closing it, then your 24 month clock would start ticking. Curious to hear what other’s thoughts/experiences are. Thanks for this information. I just realized that I needed to close off a few CC’s I have so that I can start the clock ticking on when to apply again! I’ve been in the game pretty hard for over 5 years, and was a casual hobbyist for over 5 years before that. I’m taking a break from new applications and just concentrating on maximizing my personal and business spending on the four transferable points programs. Citi Thank You points are a new/old concentration for me. Many years ago, I used them all the time until they changed the program. The current version is appealing again. Hubby, our 5 adult kids and I have our big trips booked through the end of the year. My daughter is moving back to the USA from Japan next month. I don’t need to work so hard for the miles to get us, her and my other kids back and forth in the front of the plane. I still have a stash of hundreds of thousands of points spread across different programs. There are enough banks/cards I qualify for, but I don’t want to chase points for the sake of chasing points. We’ll start thinking about 2017 in a few months. If I need any sign-up bonuses, I’ll see what’s available to me. I suspect we can take some nice trips just on the points/miles we have + what we get from strategic spending. The only Citi card that interests me in the next two years if the Prestige. This is great news for me since I don’t plant to churn a lot of credit cards in the next 2-3 years. I respectfully disagree with the notion that this stricter policy by Citi is due to a “good economy”. It’s specifically because all is not well that they are tightening as well as following the other big ones in this stricter behavior. They also see less threat from Amex, but that could change in the future if Amex gets their act together and starts aggressively marketing new products or existing ones to bring back some of the customers they’ve lost. It’s mainly cyclical and competition will move the pendulum back the other way. Many companies are waiting to see what kind of administration the U.S. will have in the coming years. I’ve heard many behind closed doors speak of the need to delay expansion unless the administration truly changes. They’re saying if Clinton gets in it will be more of the same and the economy will remain sluggish and therefore expansion would be costly. I’m strictly independent, but I for one do not want more of the same. Some execs are hopeful that a pro-business administration could get voted in and they’re leaning toward Trump. At this point I haven’t decided, but will certainly vote for the one who’s about less regulations and more pro-growth. Trump’s tax plan would benefit my family much more than Clinton’s. We’re middle class. But, it will also take a cooperative Congress. I vote for easier MS and travel bonuses!